1st element: “exogenous and endogenous removal”. The dirt of exogenous type derives from environmental contamination and from all that is deposited on the stratum corneum. The endogenous dirt derives from tissue debris and sebaceus and sweating secretions. The removal of physical type can be carried out with water or antiseptic gauzes, that chemical with soaps, detergents and other compounds. 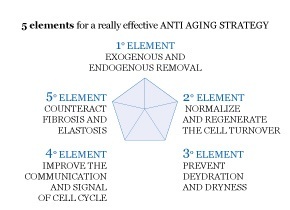 2nd element: “to normalize and to regenerate the cell turnover”. 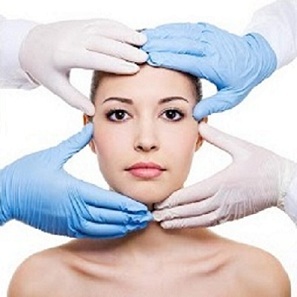 With this procedure aim to smooth and improve the appearance of the skin normalizing it. The action of superficial peeling stimulates the exfoliation and the consequent renewal of the skin through the action of various mechanisms. 3rd element: “to prevent deydration and dryness”. The loss of water from the stratum corneum is one of the main factors of skin deydration. It follows a damage to the barrier function whose greatest consequence is the loss of intercellular lipids, due to dryness. 4th element: “to improve communication and signaling of the cell cycle”. The decrease of the communicative ability between the various cells leads to having a loss af elasticity and a general thinning of the epidermis, indicating a significant decrease of cells number and their functionality. 5th element: “to counteract fibrosis and elastosis”. The absence of reparative process of inflamed fibrous connective tissue is often the cause of solar elastosis. Frequent and prolonged exposures to sunlight and sunlamps accelerate these degenerative processes, which in their ensemble are called photo- aging.